your wedding requirements, if you have any questions please don't hesitate to contact us. Is the largest room available with a beautiful limestone floor, high ceilings, chandeliers and the most impressive view of the Severn landscape. Perfect for larger groups with a long aisle and rowed seating. For your reference the Orangery is 22m long x 4.8m wide at its narrowest and 5.4m at its widest point. The heart of the house with a sweeping galleried staircase for the bride to make a grand entrance and boasting the most resplendent chandeliers. The Atrium/Hallway is 10.5m long, 4.6m wide at its narrowest and 6m at its widest. For a slightly unique experience the refurbished cellar is available for use. You will need to book an appointment with the local registry office which is Poole Court, Pool Court Drive, Yate, South Gloucestershire, BS37 5PT. Telephone: 01454 863140. The registry office and yourselves will need to liaise to book your civil ceremony (which you can book a year to the date) and help you to give notice. For a civil ceremony you will need to think about your music. There is the option of having a pianist using our baby grand, a harpist or any form of live music or using a CD with your chosen tracks on our Bose sound system. We will require around 3 tracks for when the guests take their seats, 1 track for the entrance of the bride, 3 for signing the registrar and 1 for your exit as husband and wife! For a church ceremony you will need to book and liaise with the church. Generally you are able to be married in the Parish in which you were born/live. The smaller Manor gates leading to the stag car park are 240cm wide; therefore we suggest asking your transport provider for the width of any wedding car to allow for alternative arrangements should they not. Old Down Manor offers complete exclusivity when booking your special day. This means that the house is yours for a whole day and night without the fear of seeing another bridal party or interferences from other guests. With this luxury you can completely relax, intimately sharing the day with your loved ones. Below is a rough guide for timings based on a 2.00pm civil ceremony at Old Down Manor. The orangery holds 120 people on 5’6” round tables of 10. There is a choice of a long of a round top table that can be located at the far end of the Orangery or in the bay window half way down the orangery on the right hand side. Old Down Manor provides the finest table linen, napkins, glasses and table ware which is included in all of our packages. The chairs that we supply are called Chiavari which are neutral allowing for all colour schemes. Should you wish to have table decorations, we can recommend venue stylists and florists. Alternatively we give you complete flexibility to decorate the venue yourselves. As the orangery has high ceilings flowers with a little bit of height work especially well. We allow candles; however they must be placed in a tray or item where melted wax can be caught. Three months before your wedding the team at Old Down Manor will invite you in for your pre-wedding meeting where we will go through the finer details of your special day. For children we are able to offer a children’s menu or your chosen wedding breakfast at half portions at half the price. We provide highchairs on request for younger children. The bar will be open throughout your special day for your guests to use. On all of the drinks packages we offer a non-alcoholic alternative for the adults and can offer the ‘little ones’ with soft drinks. We can also arrange a bar tab at your discretion. There is a choice of where you may wish to hold your evening entertainment. Whether it be in the Orangery, the Cellar or the Bernays Room. We can cater for Ceilidh bands, DJ’s and most types of entertainment. During your 3 month pre meeting we will provide you with a table plan based on your numbers. Our round tables are 5”6 and can cater for up to 10 guests per table. Old Down Manor has 13 boutique bedrooms to make you feel at home. The Manor house has 8 beautifully appointed en-suite bedrooms which take the names of local villages in the area. Each room has their own distinctive style. The cottage which dates back to 1850’s when the house was built is full of character. 5 bedrooms with 2 shared bathrooms are available here. Old Down Manor is situated within 66 acres of beautiful park land and gardens. You will be given complimentary admission into the park. Should the 13 bedrooms at Old Down Manor not be sufficient we work closely with local accommodation providers available in the surrounding area (please see the below). Your guests may wish to book a room rate only and join you for breakfast the following morning. At your three month pre-wedding meeting we will organise breakfast at time convenient to yourselves and your guests. Breakfast is charged at £15.00 per adult and £7.95 per child for additional guests joining for breakfast only. On your wedding day we will provide a car parking attendant to help direct and park guests. We have a car park located by the Main Manor gates and behind the Orangery, as well as a smaller car park opposite the office for the less able. Where possible direct your guests to the front of the house allowing them to take in the breath-taking views. 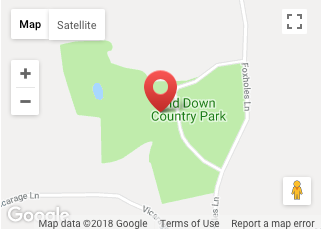 Please use the map below to get directions to old down estate from where you are or call us on 01454 414081 and we will be happy to help guide you to us.